We believe that real life change happens in the context of relationships. Life Groups are the life blood of our church. Community isn’t something we do in addition to attending church. To be a Christian is to be in community…we are better together! 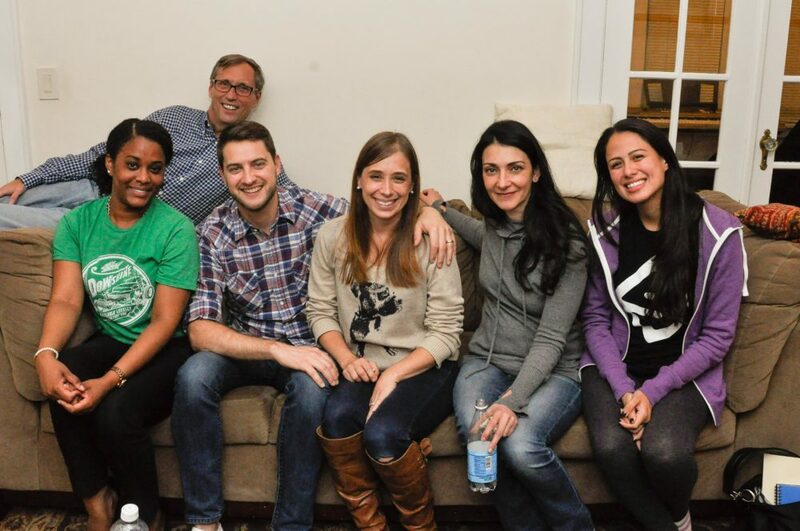 ”After moving to NY from London, life groups is where we found our church family. If you are unsure about it, just give it a go, and I promise you, you won’t regret it! Feel free to e-mail any of these leaders to learn more about their groups. Everyone is welcome to join this group! We will be discussing the Next Level Relationships series. All young professionals are welcome to join this group; we will be discussing the Next Level Relationships series. We also understand that the struggle is real so sweatpants are welcome here. All men are invited to this monthly breakfast where we fellowship, discuss God’s Word from a man’s perspective, and pray together. Everyone is welcome to join this group; we will be discussing the Next level Relationships series. All women are welcome to join this group; Come join us for food, fellowship and a time of discovering what it looks like to live God’s best for our lives. Are you in between the grades 6th-12th? Then come join us for a time of fellowship and a time to dive into the Lord’s word at the Vaidyan’s house. They will be focusing on how our identity is in Christ and how God views us as His masterpiece. Dave Ramsey presents a biblical view of money in five entertaining, practical messages. Each session teaches us how to handle our personal finances God’s ways. Come join us for a meal! Everyone is welcome to join this group; we will be discussing the Next level Relationships series. Everyone is welcome to join this all age group for families. The focus will be on parents discipling their children through group worship, study, fellowship & prayer. We’ll be using material aimed at kids age 5-12, unpacking what it means to enter the presence of God & exploring what happens in His presence. Join us to share the ups and downs of motherhood together! We’ll be working our way through the Next Level Relationships series, and giving plenty of time to coffee and chat. This group is specifically designed for moms with young babies and is an opportunity to build relationships with other moms for support, laughter and encountering our Father God together.